Over 5 billion people on the face of the Earth lack access to safe surgical and medical care. This statement alone explains why Mercy Ships exists. Mercy Ships uses hospital ships to deliver free, world-class health care services, capacity building and sustainable development aid to those without access in the developing world. Founded in 1978, Mercy Ships has worked in more than 70 countries providing services valued at more than $1 billion, with more than 2.5 million direct beneficiaries. Each year, more than 1,200 volunteers from over 40 nations serve with Mercy Ships. Professionals including surgeons, dentists, nurses, health care trainers, teachers, cooks, seamen, engineers, and agriculturalists donate their time and skills to the effort. Mercy Ships seeks to transform individuals and serve nations one at a time. Mercy Ships is dedicated to serving sub-Saharan Africa. Here thousands of suffering children and adults are being seen by our amazing medical volunteers. Our big white hospital ship is their only hope. The situation is truly heart-wrenching, and we rely on your continued help. During the Africa Mercy’s 10-month stay in each sub-Saharan nation it visits, Mercy Ships provides thousands of life-changing surgeries for adult and child patients on board, treats thousands more at a land-based dental clinic, and provides health care training to local health care professionals. Mercy Ships Medical Capacity Building programs are also undertaken to foster transformational development within the health care structure of the host nation. These projects have been specifically developed to impart knowledge and skills, while modelling and encouraging compassion and a professional work ethic. These projects incorporate one-on-one mentoring opportunities, internationally recognised courses for groups, and structured observation in the Africa Mercy hospital. We are honoured to come alongside the nations of sub-Saharan Africa and their governments’ efforts to strengthen their health care infrastructure through the training and capacity building Mercy Ships offers, free of charge. Alan Burrell, Richard Wankmuller, Margo Hartley OAM, John Wagner, Paul Pemberton, Karen Binns, Ernst Schultz, Kerry Peterson, Chris Thomas. By remembering Mercy Ships in your Will, you can help save and transform the lives of future generations. 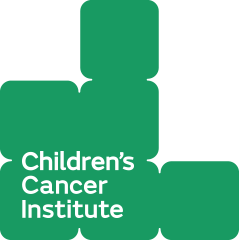 Your bequest can help children and adults to see, walk or smile for the first time. You could even transform the lives of whole communities through one of our many development projects. Imagine funding a health clinic or agricultural program for an entire village. Anything you can give takes us one step closer to a world where no-one is left to suffer simply because they have no access to health care and other basic necessities. This is a future worth investing in. Whether you make a single donation or join our community of regular givers, you’ll be making a real difference in the lives of people who have no other source of help. A pre-tax regular donation from your pay will provide free surgical, medical, dental and other support to infants, children and adults in the world’s poorest countries. You may not even notice the difference to your pay – but your ongoing support through Workplace Giving will have a lasting impact giving hope and healing to those in need. By partnering with Mercy Ships, your corporation or company can make a real difference to the lives of the world’s poorest people, demonstrate corporate social responsibility, gain access to new audiences and gain PR opportunities. Host your own event such as a dinner party, teach an art class, run a garage sale, ask for donations instead of birthday presents, run a marathon etc and raise money and awareness for Mercy Ships. Mercy Ships is staffed by volunteers from over 40 nations, who raise their own finances to travel to the ship and pay towards their cost of living while serving on board. It is this dynamic that allows Mercy Ships to provide the medical care and development assistance free of charge to the poorest of the poor. 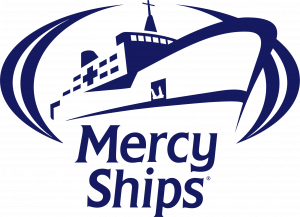 To volunteer with Mercy Ships, please visit our website.